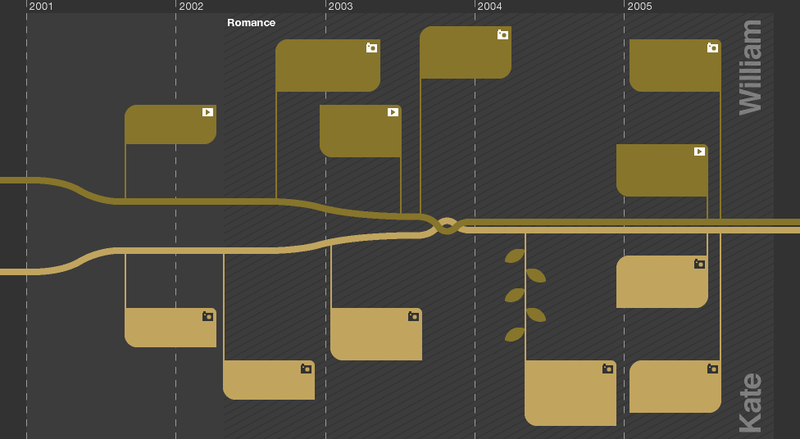 Travel backwards in time through Prince William and the Duchess of Cambridge's formative years. Discover how they met at university, and understand how their relationship has coped in the glare of intense media attention. The story of how a young woman met, and won the heart of, Prince William can be viewed as a modern royal fairytale. Follow Kate Middleton and the prince through their formative years, discover how they met at university, and understand how their relationship has coped in the glare of intense media attention. Prince William Arthur Philip Louis was born at 2103 on 21 June 1982, at the private wing of St Mary's Hospital, Paddington, London. He weighed 7lb 1 1/2oz. 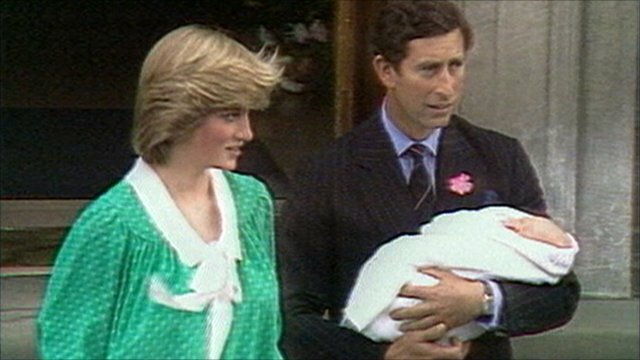 His arrival as the first child of his parents, the Prince of Wales and Princess Diana, was eagerly awaited. The royal couple had married to much fanfare the previous July. Prince Charles told waiting reporters outside the hospital that his son was in "marvellous form". He described being present at the birth as "rather a grown-up thing... a shock to my system". Catherine Elizabeth Middleton was born at the Royal Berkshire Hospital in Reading on 9 January 1982. In June that year she was christened at St Andrew's - a church in the village of Bradfield in Berkshire where her family lived. 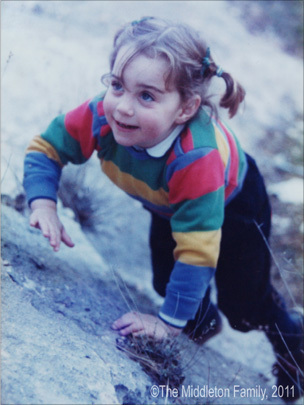 This photograph is of Kate as a three and a half year old on holiday in the Lake District. 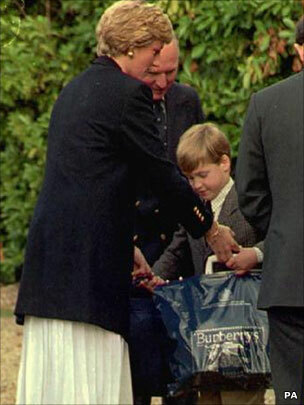 After attending Mrs Mynors Nursery school, Prince William became a pupil at Wetherby School, a pre-preparatory boys' school in west London, in January 1987. The school occupies five floors in a double-fronted listed building of the Italian Ornate style, dating back to 1849. It overlooks the beautiful Pembridge Square Gardens which doubles as a play area for the pupils. 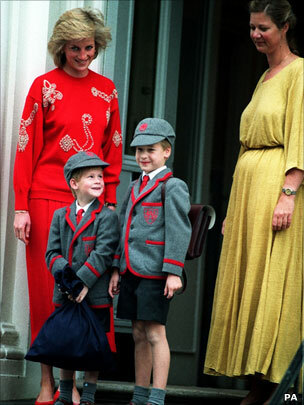 Princess Diana was often to be seen dropping the young prince off at school. It was at this school that Prince William's mother famously won a running race on sports day in 1989. In 1986 Catherine started at the local Bradfield Church of England Primary School. It was while she was at the school that her parents set up their business, Party Pieces, selling children's party gifts via mail order. It was the success of the family business, started by her mother Carole, that was to provide the family with the means to send Kate and their other children to a series of expensive private schools that would give her access to the upper echelons of society. 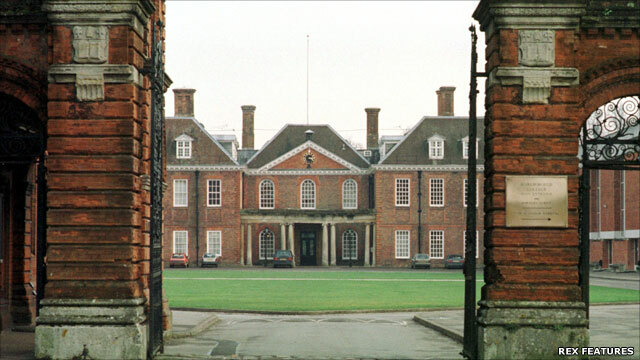 At the age of eight, Prince William started at Ludgrove School in Berkshire where he stayed for five years. Set in 130 acres, Ludgrove is a boys' boarding preparatory school where pupils learn "to grow and flourish in a happy environment, to explore and expand their potential and to develop an awareness and concern for others around them". Facilities include extensive playing fields, a nine-hole golf course a 20m indoor swimming pool. Current fees are £6,950 a term. Kate Middleton grew up in what has been dubbed Pang Valley, a rural haven in west Berkshire, not far from London. Pretty villages are dotted across the valley which despite its proximity to two motorways and the capital, retains a secluded rural feel. Her family lived in the village of Bradfield and she was christened at the local church. She attended the village school and went on to take a place at St Andrew's prep school in the neighbourhood. "The allure of St Andrew's school starts as you come down the drive and your view suddenly opens out to reveal the extensive playing fields, grounds and an imposing Victorian house," says the school's website. Here, Kate excelled at sports, playing in many of the school teams, and did well academically. 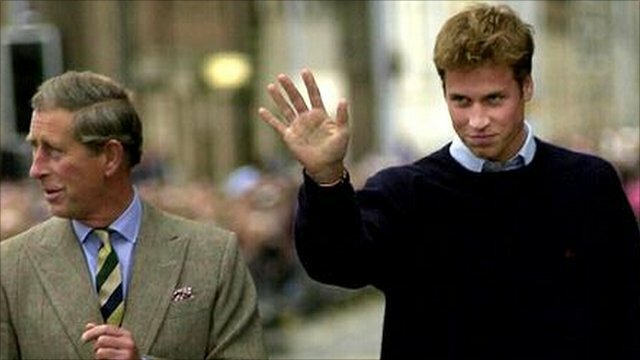 Famous for educating the sons of the great, good and plain rich for more than half a millennium, Eton welcomed Prince William to its ranks in July 1995. As well as a smattering of royals from around the world, it can count 18 British prime ministers, including the Duke of Wellington, Robert Walpole and Harold Macmillan, among its former pupils. The school also has a long-established military tradition. The Army is the biggest single employer of Old Etonians. Prince William left Eton with 12 GCSEs and A-levels in geography, biology and history of art, gaining A, C and B grades respectively. In 1996, midway through the academic year, Kate Middleton became a pupil at one of the country's leading independent schools. Annual fees at the mixed boarding school, 33 miles from Kate's home, are a hefty £29,000. She was to spend four years here, becoming captain of the hockey team and passing her GSCEs with flying colours. For her A-levels she studied maths, art and English in which she gained two A grades and a B respectively. Former classmates describe her as level-headed, popular and talented. 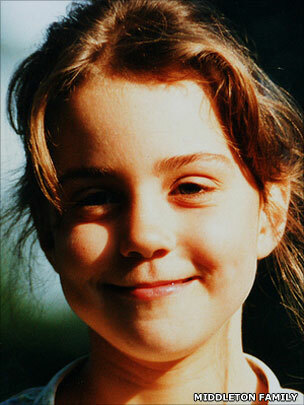 "Catherine Middleton was a bright, popular and extremely capable pupil. I am delighted for her and the whole college joins me in wishing her and Prince William great happiness together," headmaster Nicholas Sampson has said. 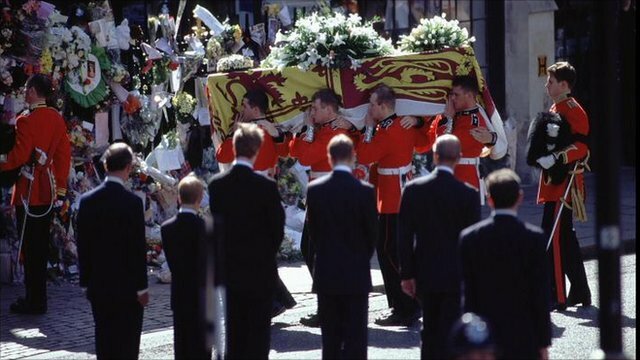 Prince William was 15 years old when his mother, Diana, Princess of Wales, was killed in a car crash in Paris on 31 August 1997. Prince Charles broke the news of their mother's death to Princes William and Harry at Balmoral Castle where the Royal Family had been spending the summer. About one million people lined the streets of London to see the princess' funeral procession in early September. Prince William and Prince Harry walked behind their mother's cortege as it made its way to Westminster Abbey for the funeral ceremony. 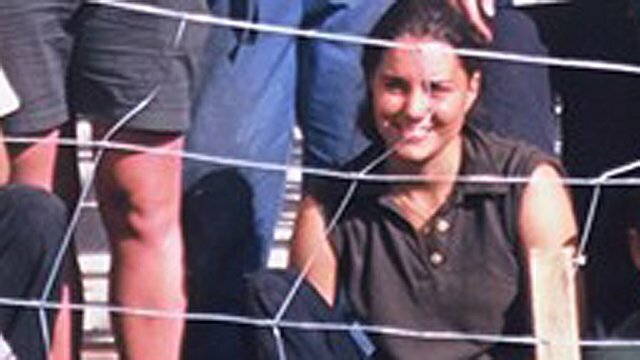 During a gap year between school and university Prince William went to Mauritius, spent time on mainland Africa, trekked with the Army in Belize and worked as a Raleigh International volunteer in Chile. But it was, he says, his short stint working as a labourer on a dairy farm in south-west England that he enjoyed the most. He was paid an hourly wage of £3.20, rising before dawn to milk cows, and "performing mucky jobs" along with everyone else. Kate spent her time between school and university taking a course in Italian in one of Italy's most famous medieval cities, Florence and travelling in Prince William's footsteps on a trip to Chile. Just like the prince, she spent several weeks in the South American country on a Raleigh International trip where she was a popular member of the group. By opting to attend St Andrews university instead of Oxford or Cambridge, Prince William broke the mould over his choice of where to study. Located on the remote east coast of Scotland, the university is popular with well-heeled, privately-educated students. He steered clear of freshers' week - synonymous among many undergraduates with excessive partying - fearing he might "end up in a gutter completely wrecked". He arrived a few days later with his father in tow. At the time he said he was keen to lead an ordinary life, meet the locals and not spend his time with other public school-educated students. Despite its location well to the north of Edinburgh, St Andrews is sometimes called England's northernmost university. For years it has been popular with upper-crust young men and women from south of the border. Kate Middleton came to St Andrews to study art history, the same course that Prince William started his university career with. 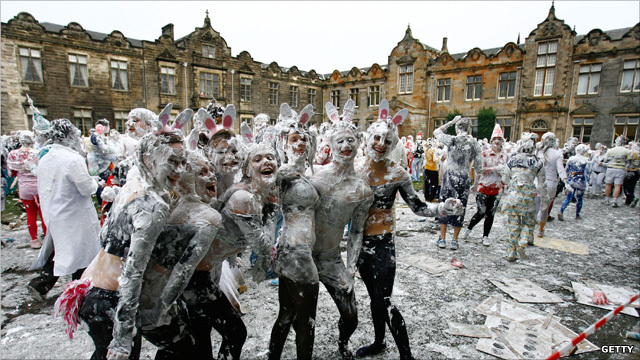 The university has high academic standards and long-standing traditions, one of which is the Raisin Day celebrations pictured above. The event forms part of the "academic family" tradition that started at the university after World War II, as a way of welcoming and integrating new students. During her second term at university Kate modelled for a charity fashion show sponsored by Yves St Laurent. Prince William paid £200 for a front row seat to watch Kate stroll down the catwalk in a sheer black lace dress worn over a bandeau bra and black knickers. Photographs from the event have since become widely distributed and characterised by commentators as revealing a more daring side to the 20-year-old student, who by now was a member of the prince's inner circle. 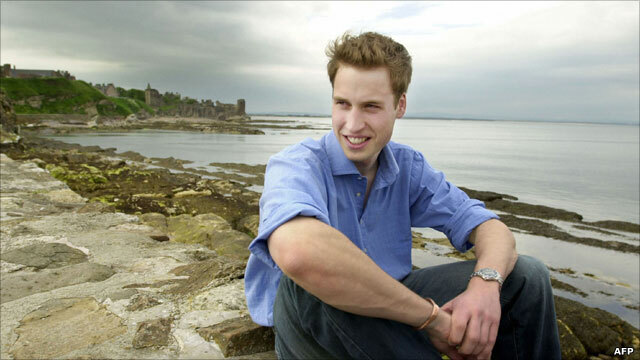 At the start of his second year, Prince William moved into rented accommodation in the old centre of St Andrews with three fellow students; Kate Middleton, Olivia Bleasdale and Fergus Boyd. The apartment at 13C Hope Street is on a quiet, curving, residential road of Georgian terraced houses. The flatmates took turns to cook, though Prince William confessed to being "absolutely useless" when it came to the kitchen. Inevitably, the living arrangements led to much speculation as to whether the prince and Kate Middleton were a couple. This was denied by unofficial palace sources. Prince William was guest of honour at Kate's 21st, which was held months after her actual birthday. 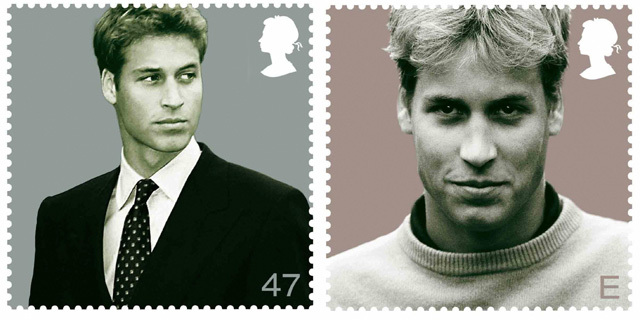 Around the time these commemorative postcards were issued to mark his 21st, the prince gave an interview in which he played down the notion that he was involved in any long-term, serious relationship. "I don't have a steady girlfriend. If I fancy a girl and I really like her and she fancies me back, which is rare, I ask her out. "But, at the same time, I don't want to put them in an awkward situation because a lot of people don't quite understand what comes with knowing me." He added: "There's been a lot of speculation about every single girl I'm with and it actually does quite irritate me after a while, more so because it's a complete pain for the girls." 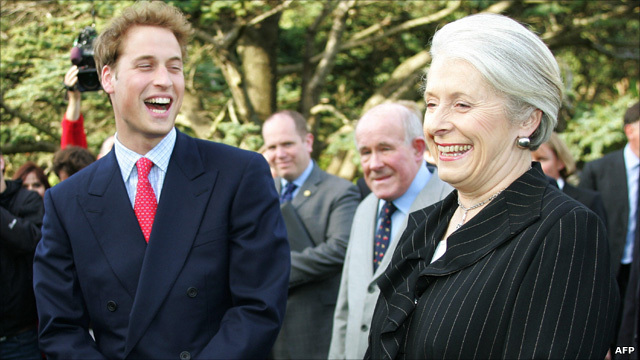 On his 21st birthday Prince William used a landmark interview to talk about himself and his mother, and to defend his father who in recent years had come in for much criticism. He said that his "guiding principles in life are to be honest, genuine, thoughtful and caring" and that he had learnt much from his mother. "My mother used her position very well to help other people, as does my father, and I hope to do the same," he said. To celebrate his coming-of-age birthday he held an African-themed party at Windsor Castle for 300 friends and family. It was somewhat overshadowed by a gatecrasher, dressed as Osama Bin Laden, who managed to get past security and close to the royals. 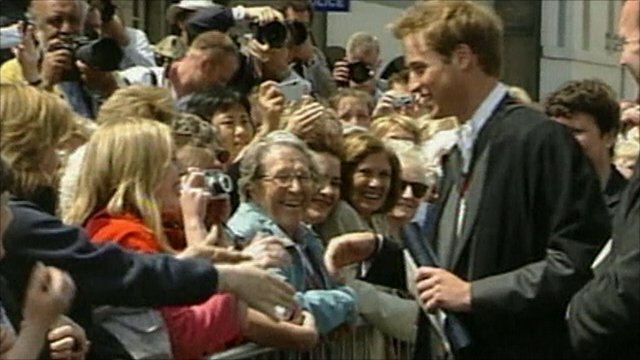 On returning to Scotland in autumn 2003, Prince William and his flatmates moved into a more secluded home on the outskirts of St Andrews. Balgrove House is on the Strathtyrum Estate, just to the west of St Andrews. The famous St Andrews golf courses are just a stone's throw away. Speaking before the move, Prince William said that in his third year he had fewer lectures and had to spend less time at university. "I do think I am a country boy at heart. I love the buzz of towns and going out with friends. But, at the same time, I like space and freedom." Just what the papers had been hoping for, conclusive proof, if any was needed, that Prince William and Kate Middleton were a couple. This was one of several pictures published around the world featuring the couple taking a holiday together. It did not open the floodgates of paparazzi attention as the agreement to leave the prince alone while studying still held. 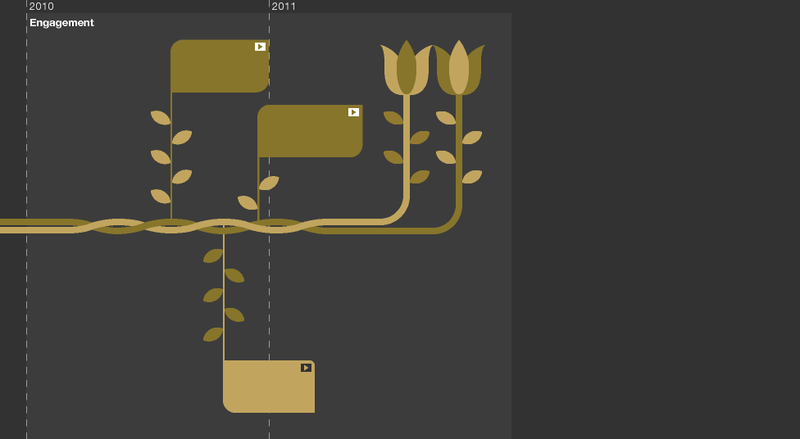 That was to change within a year, however. 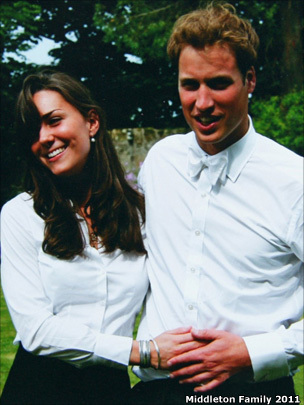 Prince William graduated from St Andrews with a 2:1 in geography, the subject Kate Middleton persuaded him to switch to after starting a history of art degree. This also made him one of the most academically accomplished members of the Royal Family. His father, Prince Charles, was the first heir to the throne to take a degree. He was awarded a 2:2 from Cambridge. At the graduation assembly which Kate Middleton also attended, William Wales, as he was known at university, was called to the pulpit where, head bowed, he was capped by St Andrews chancellor, Sir Kenneth Dover. Life at St Andrews for Kate Middleton and especially, Prince William, was a cocoon. They were pretty much left alone by the media. That was about to change. Kate Middleton graduated from St Andrews on the same day as Prince William with a 2:1 in history of art. In public, the pair remained at a discreet distance during the ceremony. However, the true state of their relationship at the time emerged only years after. Following the announcement of their engagement, a series of photographs was released by the Middleton family including this intimate shot of the couple celebrating their graduation. Fresh out of university, Prince William embarked on his first solo official duty, representing the Queen on a visit to New Zealand. The visit, during which he met various New Zealand officials, including New Zealand Governor General Dame Sylvia Cartwright (pictured), coincided with the touring British and Irish Lions rugby team. During the trip he took part in training sessions with the Lions and watched matches against the All Blacks. In 2005, Kate Middleton's lawyers contacted newspaper editors to ask the press to leave her and her family alone. The editors were asked not to publish pictures taken by the paparazzi as Kate Middleton went about her everyday life. Some publications had carried a photograph of the 23-year-old staring out of the window on a London bus. Miss Middleton's friends said she was being followed by photographers day and night. But they argued she was a private individual, who had not courted publicity. 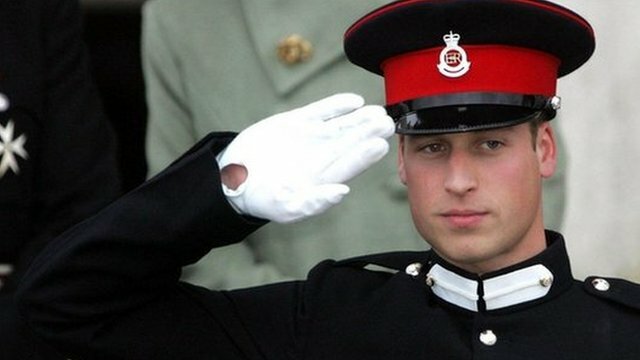 As the second in line to the throne, Prince William will one day be head of the armed forces. Going to Sandhurst for officer training was the beginning of Prince William's military career and an important part of his induction as a working royal. 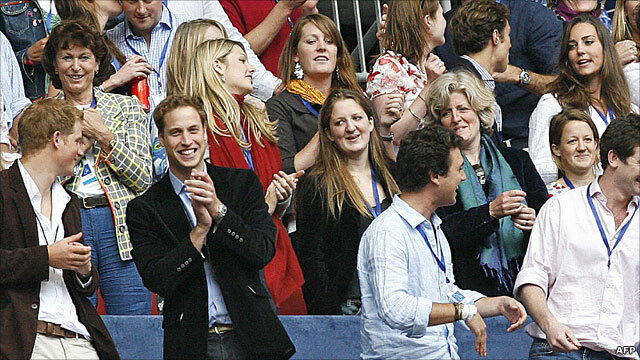 He arrived at the elite military academy in January 2006 with his father, Prince Charles, in tow. 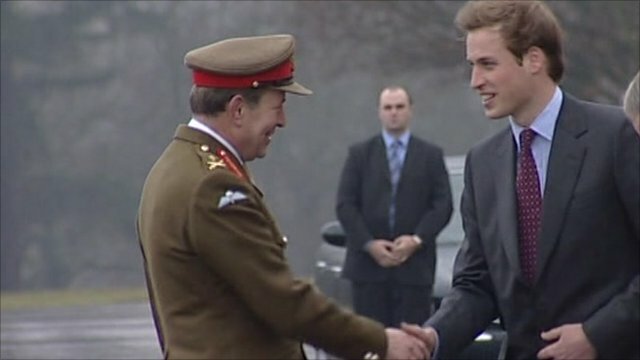 There he was greeted by Sandhurst commandant Gen Andrew Ritchie, who told BBC News William's decision to attend was a "great privilege for Sandhurst and the Army". His daily routine would start at 0600 and last until midnight, Gen Ritchie said. 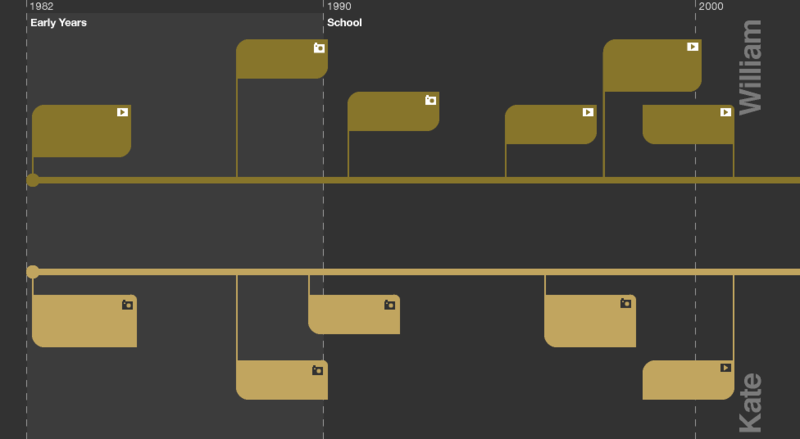 His first five weeks at the academy would not be glamorous, however. Much of the time would be spent ironing uniforms, polishing boots and learning basic soldiering skills, including handling weapons. 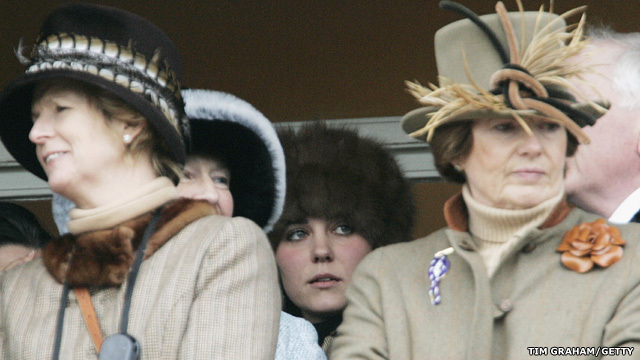 Kate Middleton was spotted in the royal box at Cheltenham Race Course for the Gold Cup in March 2006. This was highlighted, by royal watchers, as a significant development in the couple's relationship, as Prince William was not present but the Prince of Wales and the Duchess of Cornwall were. One year after the couple left university, media interest in the relationship between the future king and Miss Middleton was becoming intense. Miss Middleton's attendance at a range of public events - such as this one at a shop opening - inevitably attracted photographers, so it was not long before the couple's first public kiss would be splashed across the newspapers. 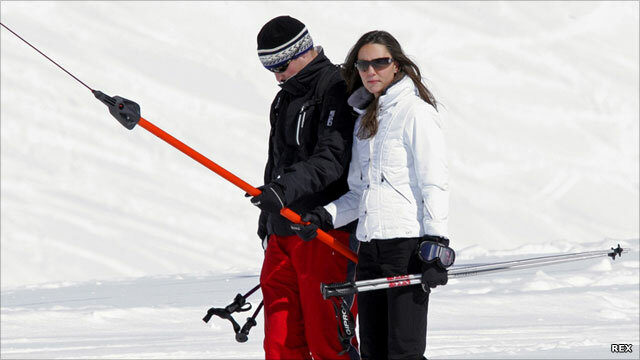 The shot the papers all ran was of the prince and Miss Middleton sharing a private moment during a skiing holiday in Klosters, Switzerland. 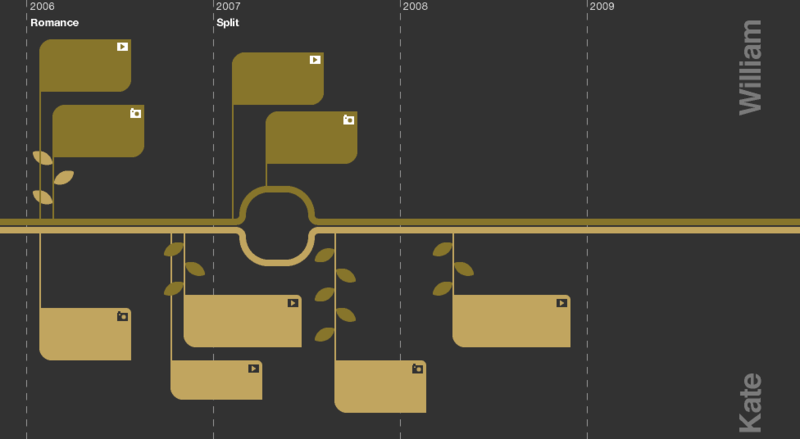 Kate Middleton's progression through life had, by most standards, appeared to have been effortless. Top grades gained at top schools followed by a good degree at a top university. But while her boy friend began down his own (pre-ordained) path of royal engagements and a military career, Miss Middleton seemed apparently directionless. The news that she had taken a job with Jigsaw, a business run by family friends, was seen as a step towards dampening the growing chorus of voices who saw her presence on the party circuit as something to criticise. 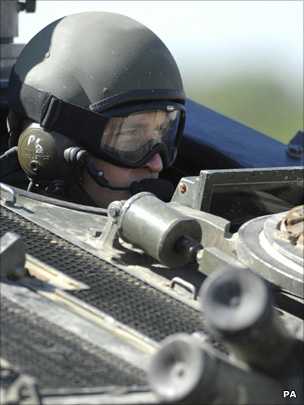 Prince William was commissioned as an officer in the British Army after graduating from Sandhurst in December 2006. Though all attention should have been on the prince, it did not escape the media's notice that Kate Middleton was also there. It was the first occasion that Miss Middleton had been Prince William's guest at a high-profile public event that was also attended by the Queen and other senior royals. Dressed in a black hat and scarlet coat she was joined by her parents, Carole and Michael, and the prince's private secretary, Jamie Lowther-Pinkerton. 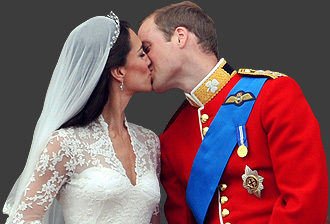 News in April 2007 that Prince William and Kate Middleton had split up caused a media storm. With very few "facts" to go on, it was variously reported that the prince's Army career, his party lifestyle and interference from the Royal Family were behind the split. The prince's move to an Army camp in Dorset, and Miss Middleton continuing her life in London, are also said to have put a strain on the relationship. This footage of Kate Middleton leaving her flat in January 2007, the day of her 25th birthday, highlights the level of attention being paid to her by the media. BBC royal correspondent Nicholas Witchell commented at the time: "It's a surprise, because it had seemed very stable and very steady." In January 2007, Prince William reported for his first day with the Household Cavalry in Berkshire. This was the beginning of his Army training that would include a five-month command course at Bovington Camp in Dorset. There he would train to be a troop leader with an armoured reconnaissance unit, like younger brother Prince Harry. It was also when stories would emerge that he preferred spending time with his new Army friends than with his long-term girlfriend. One local report had the prince clearing a local supermarket of Pimm's during a visit to stock up for an army party. Evidence that the relationship was back on after their much publicised split came with the appearance of Kate Middleton in the royal box at the charity memorial concert for Diana, Prince William's mother. Discreet as ever, Miss Middleton was spotted placed several seats away from the prince and his brother, Prince Harry. In a clear sign that their relationship was back on a firmer footing after the split in 2007, Kate Middleton was an official guest at an award ceremony where Prince William received his RAF pilot's wings from his father, the Prince of Wales. 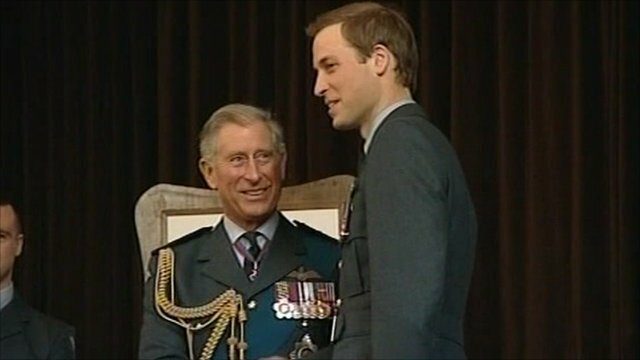 Sitting apart in the audience, Miss Middleton watched as Prince Charles, in his capacity as Air Chief Marshal, bestowed the awards on his son and other pilots at RAF Cranwell, Lincolnshire. The pair were later seen together as a couple, somewhat stealing the limelight from those for whom the occasion was held. 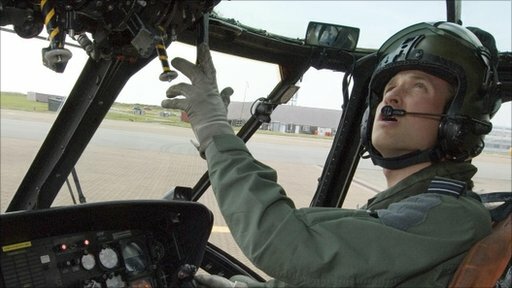 After nearly two years of intensive training, the prince, known as Flt Lt William Wales, was posted to RAF Valley to join Number 22 Squadron, where at first he would act as a co-pilot, flying Sea King search and rescue helicopters. Now that Prince William was settled in Anglesey as a search and rescue pilot with the RAF, Kate Middleton was spending more time at their rented accommodation on the island. Flt Lt Wales is expected to spend three years as a front-line search and rescue pilot for the RAF. After a five-year romance with a brief interlude, it was announced on 16 November by Clarence House that Prince William was to marry his long-term girlfriend Kate Middleton. "We are both very, very happy," the prince said. Miss Middleton said joining the Royal Family was a "daunting prospect". "Hopefully I'll take it in my stride," she added. Prince William had proposed on holiday in Kenya in October, giving his fiancee his mother's engagement ring. Prince William and Kate Middleton were welcomed by crowds of hundreds of people on their first official engagement as a couple. Miss Middleton cracked open a bottle of champagne over a new RNLI lifeboat at Trearddur Bay on Anglesey. The prince, who is based at nearby RAF Valley, told the crowd: "I do the talking, she does the fun bit." Miss Middleton sang the Welsh national anthem, as well as a hymn in Welsh. A palace spokesman said the couple asked for their first joint engagement to be on the island, where they have a rented home.